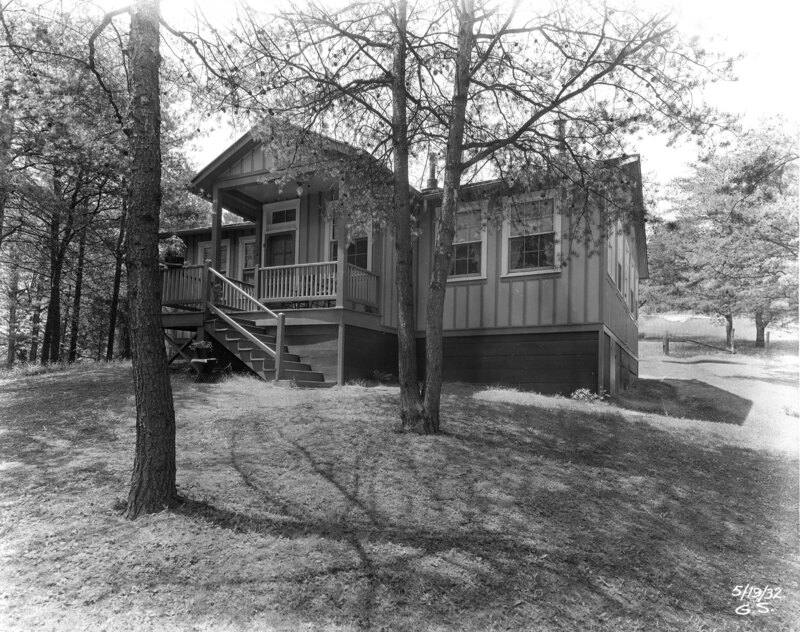 Back in December I posted information about a house that was being torn down to make way for a new Loch Raven Reservoir Maintenance building(s). Some questions came up as to who owned the house originally and how long had it been there. Just recently my blog had been read and I have been in communication with two brothers that lived there. Their grandfather was the superintendent of the property from the fifties to the eighties. 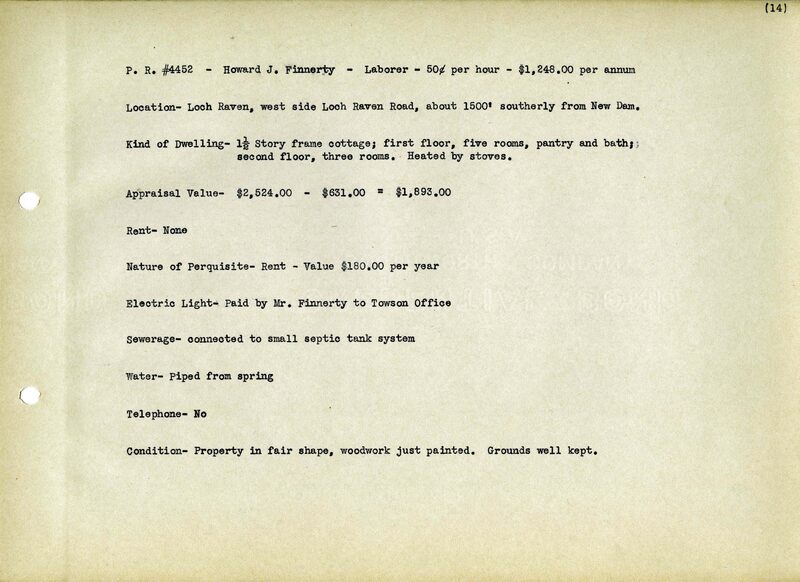 I found this photo and the accompanying info sheet on the property. Back in 1932 a handyman lived there named William Butcher. The brother’s names are Joe and Jim Greenwood. Their grandfather’s name was William Farrell. 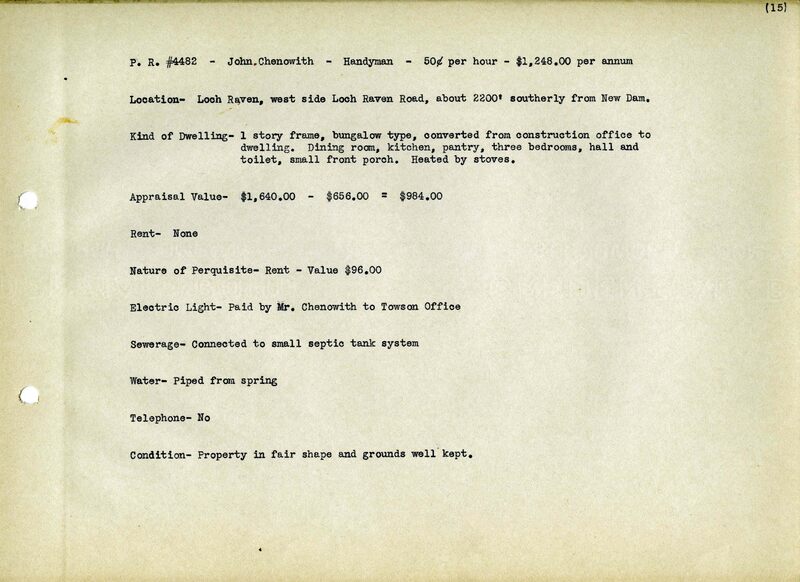 They are going to try and find some photographs of when they lived there. In my records is this house, occupied by Howard Finnerty. As can be seen, this house was 1500 feet south of the dam, which puts it just north of the Butcher property. Enlarging this photo from about 1914, you can see both houses to the left. Another interesting house adjacent to the property was occupied by John Chenowith. According to this record, the house was 2200 feet from the dam which kind of puts it just south of Shanghai Run, on the hill. 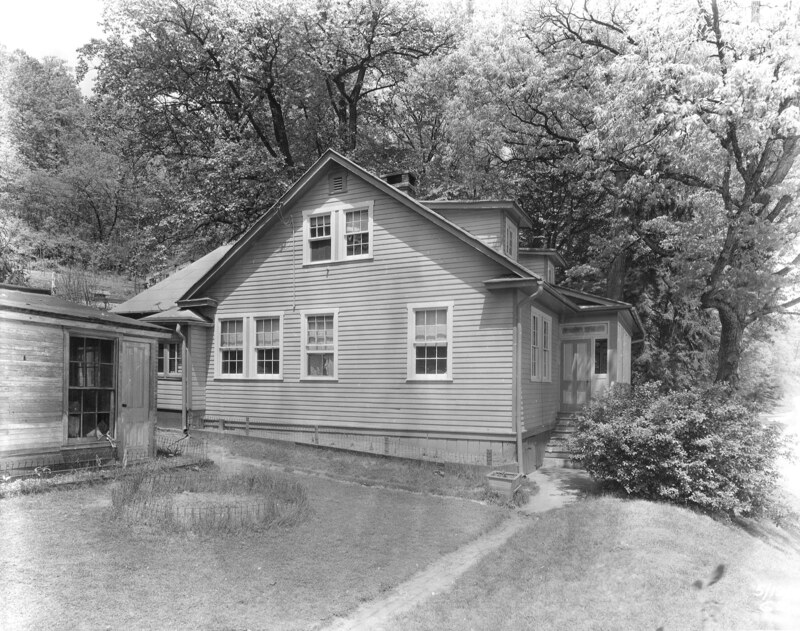 I did find a photo that LOOKS like this house from 1914 but I am not sure. According to family history, the home was built in stages sometime before the Civil War. The kitchen section was built first, then the center section, then finally the large section up front, including the porch. It was later bought by the city. The house was always occupied by the Superintendent up until 1980 when my grandfather retired. 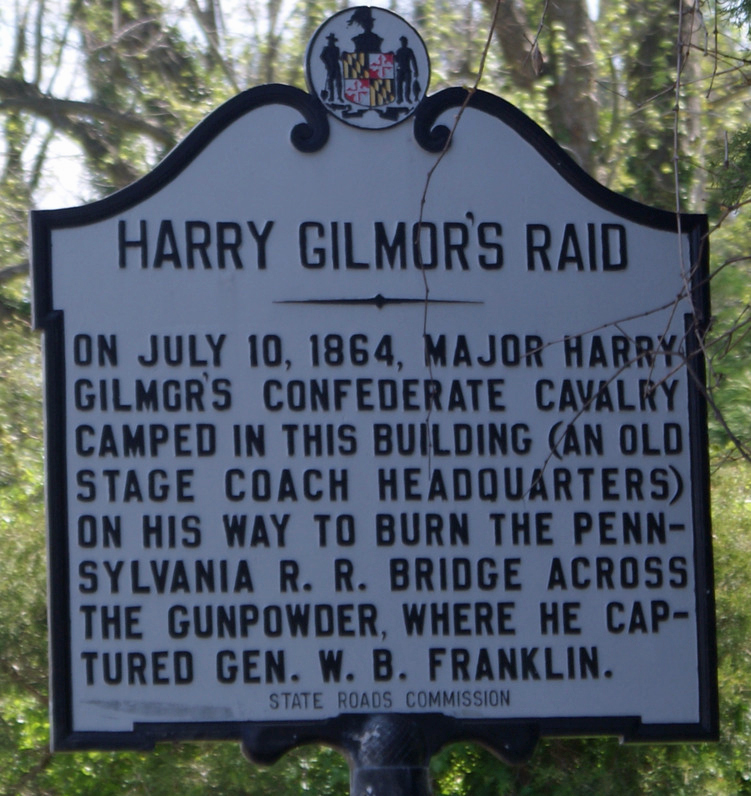 Legend has it that General Harry Gilmor spent time in the house during his adventures in the area. Many, many stories. I remember evacuating the house during Agnes, and ice skating below the lower dam in the winter, and hearing about Chuck Thompson at the fishing center (a celebrity!) In the 60s we’d get trapped in the house as the road became gridlocked with folks cruising in their cars and flat lands below the dam became a big parking lot/beach party every weekend. In the mid-seventies they planted trees below the lower damn and closed the road on the weekends and the hippies were replaced by bicyclists. 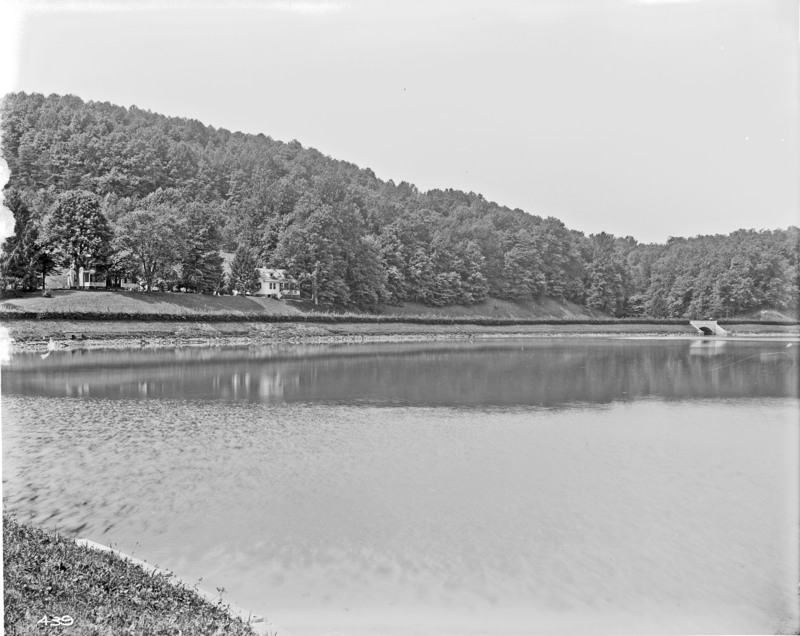 Despite the beautiful photos, the area between the dams was usually a mud pit with a stream of water trickling down the middle. My grandfather kept a close eye on the place, and we always enjoyed him shouting from the front porch at people getting into things they shouldn’t get into. I think Chuck Thompson came to one of the crab feasts. 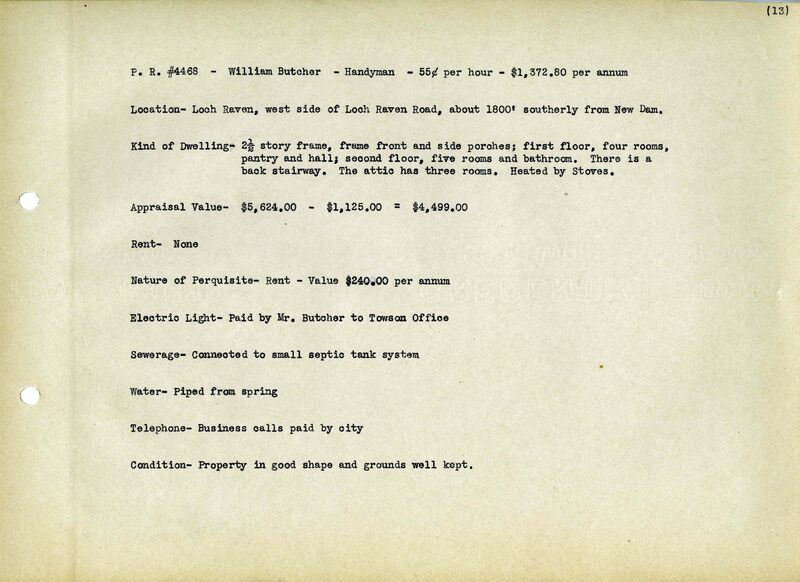 Several barrels of steamed crabs from Hale’s for the then crazy sum of $100 each. Winter was always fun for us with the salt trucks going in and out and never understood why our grandfather hated snow. Greatest sled hill in the world up behind the pumps and the old foundation up on the hill. We somewhat had the run of the place since all the workers knew us and we would despoil Uncle Bill’s penny jar and walk to Sanders’ at the juncture of Cromwell Valley. If nothing else, we could check on the dead cat along the way and occasionally didn’t catch fish off the little dam while the hippies jumped off it. It was always fascinating to talk to Clarence, who tended to come on duty in the evening to patrol and was missing a finger and was always happy to show us his pistol. We did get in a little trouble like accidentally throwing kerosene on the workers’ wood stove. So now the question comes up! Should this house have been torn down before doing a thorough investigation? Gilmor?? This is a historic marker up off of Mountain Road, not too far from Loch Raven. Which brings up another question – since a lot of people are so hell bent on erasing history, by removing Confederate statues – should all the Highway Markers also be removed? Thanks to Joe and Jim Greenwood for your stories. This is what makes my job so interesting. I visited the Woodbrook page and read up on some of the comments and history of the place. I had never heard of it until you mentioned it. More could be done but unfortunately it’s not. Politics, money, community commitment, etc. all play a role (Look at the Roland Tower – the community was going to raise funds to fix it up but now they are asking the city to do it. Meanwhile it has just been sitting, falling apart). Add to that, historical preservationist who unknowingly let things slide by them without doing a thorough investigation. At my work is a house that should have been preserved. Now it is in such a sorry state, it would be next to impossible to restore. At this point I say tear it down. A couple other outsiders want to save it. Meanwhile it gets worse every day. 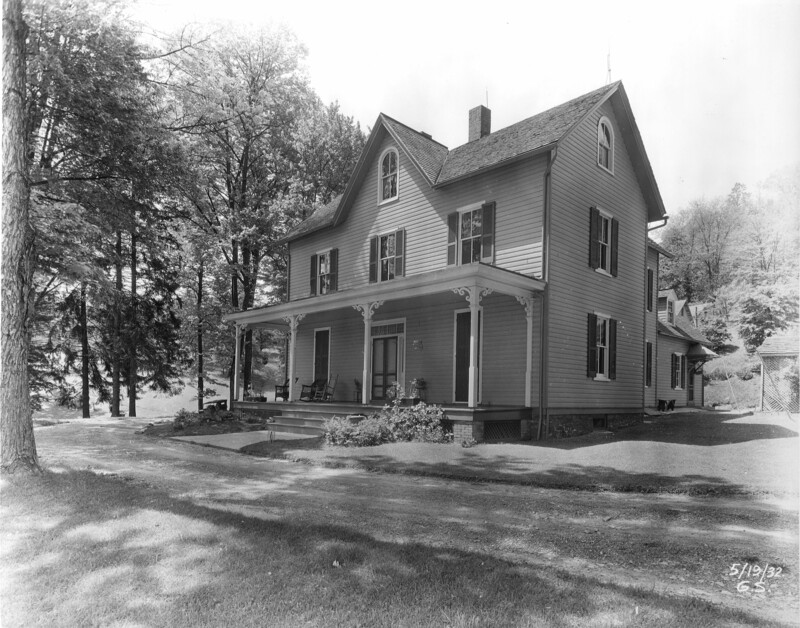 It was a beautiful farm house, but historically significant? I personally don’t think so. Just because it is old doesn’t make it historic. Yea, I like this post. I don’t want to erase history. It is fascinating. It is meaningful to those like your friends Joe and Jim. Thanks for posting.